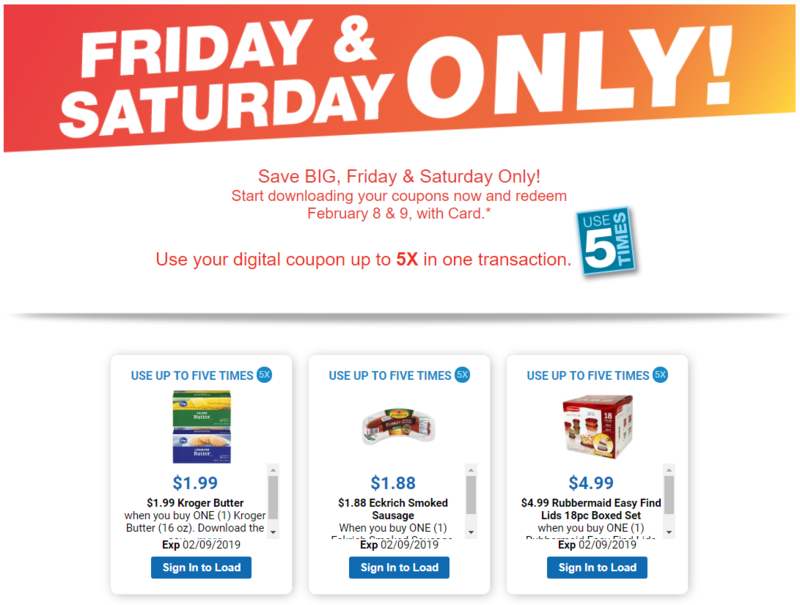 I hope you're loving these 2 Days of Digital Deals at Kroger as much as I am. 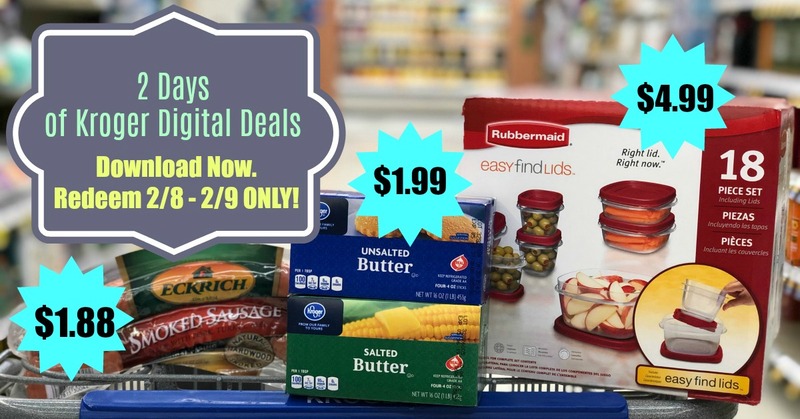 This week we get to stock up on Eckrich Smoked Sausage, Kroger brand Butter and Rubbermaid Easy Find Lids I am definitely loving the Kroger brand Butter. 2/8/19 Just getting this email. I would think the email should be sent the night before sale begins!